Stephanie Plum might not be the world's greatest bounty hunter, but she knows when she's being played. Ken Globovic (aka Gobbles), unofficial student leader, has been arrested for beating up the dean of students at Kiltman College. Gobbles has missed his court date and gone into hiding. People have seen him on campus, but no one will talk. Things just aren't adding up, and Stephanie can't shake the feeling that something funny is going on at the college. 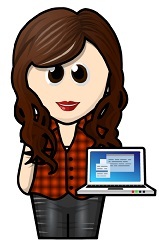 As you probably already know, the Stephanie Plum series is one of my favourites. I absolutely love catching up with Steph, Lula, Grandma Mazur, Morelli, Ranger and all the other awesome characters in Trenton. Stephanie isn't having a good day, and it gets worse when Morelli dumps her. Apparently, between being a cop and her constant calamity it's causing him some serious stomach problems and he needs some time to figure things out. At least she's got Ranger to fall back on. He's got a security job lined up for her, she's always got a constant bunch of FTAs to chase around, and there's also her friends and family. Now Stephanie and Lula are on the case to find a missing frat boy because he beat up the dean at Kiltman College. But there's a lot more going on and they find themselves caught up with the crazy Zeta fraternity, a situation that might be linked to the current murders of two men, and an eccentric biologist who might be creating diseased fleas he intends to use against the college. Tricky Twenty-Two is a super fun, fast read and a great addition to this awesome series! 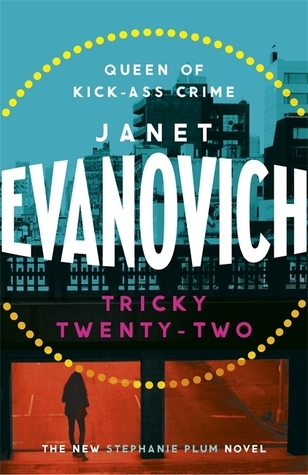 I love how Janet Evanovich effortlessly weaves a tale of intrigue, hilarity and danger while presenting a murder mystery that keeps the reader guessing. No matter what happens to Stephanie, she's got a knack for bouncing back and in this book she shows just how strong she can really be. She might need more help than most, but sometimes she can save herself just fine. I loved this book and laughed out loud so many times.